The new year offers a wealth of opportunities for change, especially with the plethora of technological advances that are shifting the way consumers respond to marketing. As consumers are becoming more tech-savvy, it’s important for brands to stay up to date with the latest trends in digital marketing to remain competitive. 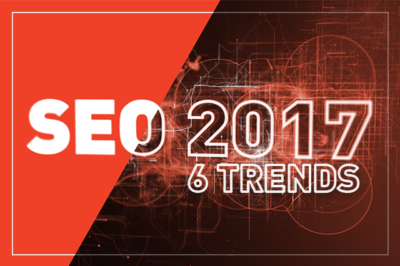 This 2018, we’re seeing a number of emerging digital marketing trends that will very likely make the rounds as the year progresses. Here are the top 3 predictions on what’s in store for digital marketing this 2018. Machine learning has been one of the emerging technologies that took 2017 by storm. This year, the applications of machine learning are seen to be spreading more widely into digital marketing. More marketers are predicted to use machines in making strategic marketing decisions by analyzing customer data in real-time and getting deep insights to further facilitate personalized content. ML is also seen to have created a huge impact on behavioral marketing. Copywriters, to be specific, can use the insights derived from content analysis to craft and tweak ads in response to how audiences have responded. Machine learning can also be used to automate data visualization and generate predictive data. Chatbots have been around for a while, but it’s likely that it will be more widely used by marketers this year as AI technology becomes more sophisticated. Chatbots are seen to have an increasingly bigger role in dealing with customer queries and concerns, offering customers quicker and more tailored responses. Clothing brands like H&M have also been utilizing chatbots in a unique and inventive way. Their chatbots double as a personal stylist that could recommend outfits based on your style from scanning your social photos. Brands who want to one-up their chatbot efforts can explore more on how to integrate AI functionality into their suite of services. Augmented reality is one of the highly anticipated technologies that is seen to have huge implications on marketing this year. AR is set to revolutionize how marketers and customers interact with one another, and change the way brands engage in marketing. AR marketing offers brands the ability to create a 3D image of a product, allowing consumers the experience of “seeing” a product up close and personal, even if they’re just digitally viewing it from their phones. IKEA is one of the first brands to utilize AR technology by developing an app that allows customers to virtually preview their products through augmented reality. 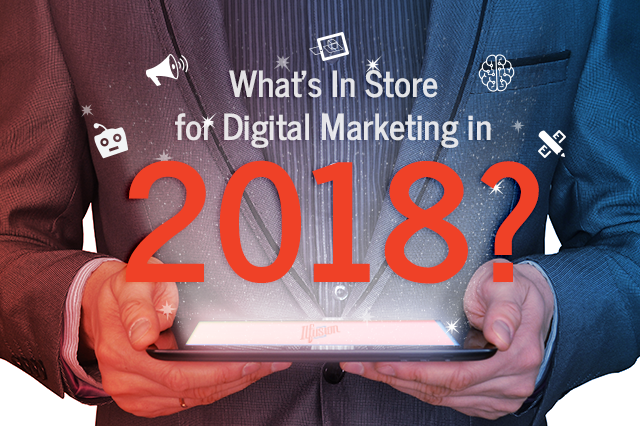 2018 is an exciting year for digital marketing. It is undoubtedly a year where cutting-edge technology have raised the bar on how marketing strategies are being implemented, how data is analyzed, and how brands engage with their customers. If you want to know more on how to use these digital marketing trends to your company’s advantage, or if you’re interested in working with Ilfusion to help you with your marketing efforts, give us a call at 888-420-5115, or send us an email at creative@ilfusion.com.